This innovative fruit bowl is a feast for the eyes and will add some decorative kick to wherever you place it. Fill the bowl with apples, oranges or pears, and hang bunches of bananas or grapes over the Nambé alloy fingers. The rich, natural wood tones make the fruit colors come alive. 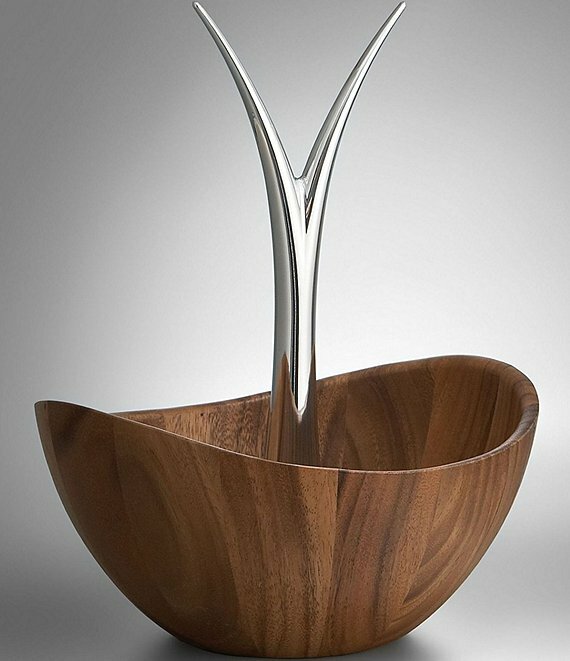 Crafted from Nambé alloy and acacia wood. Approx. 12 x 11.5 x 16(H)".